Remember when you were a kid and you made the perfect paper plane, only to be heartbroken when, upon its maiden voyage, it curved straight to the floor and crashed? 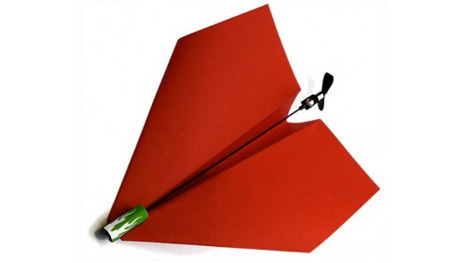 Tailor Toys has created a paper plane accessory called PowerUp 3.0, which will add a propeller and some small amount of control to the flight of your paper aerial creation. All you have to do is make a paper plane from a regular sheet of paper and then attach the PowerUp 3.0 to its central fold. The PowerUp includes a propeller that can be controlled by a Bluetooth-equipped smartphone, letting you extend the flight time of your paper flying contraption. Before each flight, the gadget needs to be charged for 20 seconds by holding the nose up to a battery pack. 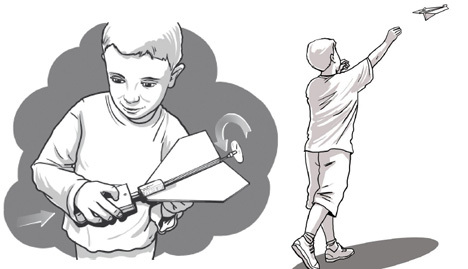 Then your creation can take off and fly as far as you’ve always hoped it would in your wildest paper airplane dreams.